This large plaque measures approximately 7" X 24". Also available in an array of colors. Contact us to check availability on the color of your choice. 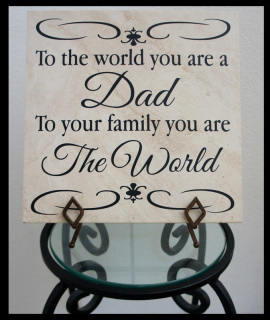 Father's Day Blessings Art - 8" X 10"
Simple and tasteful. 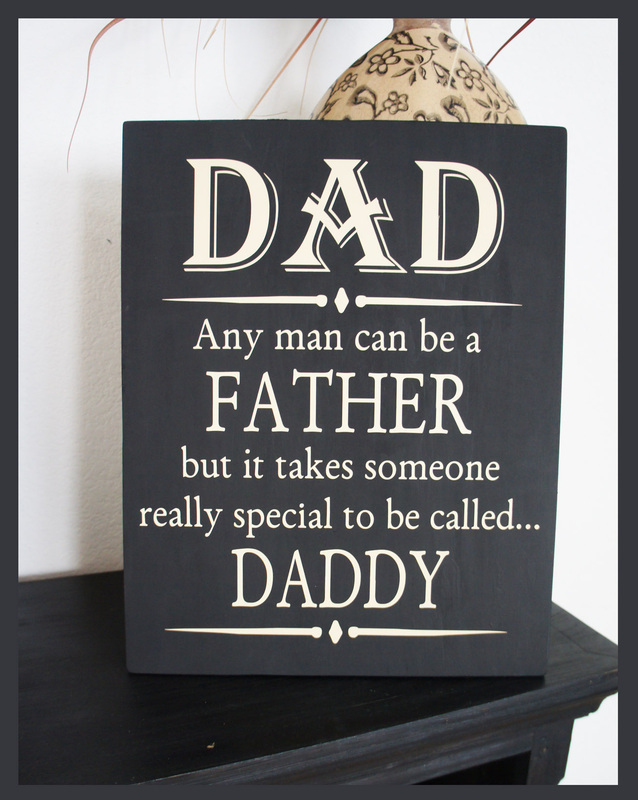 This 8" X 10" wooden plaque will make the perfect gift for your children to give to Daddy this year! Also available in an array of colors. Please contact us to check availability on the color of your choice. 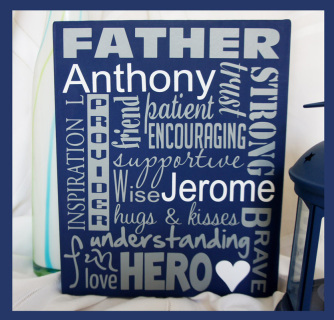 Father's Day Subway Art - 8" X 10"
Get personal with Dad this holiday! Simply add his name to the list of amazing attributes he displays, and this gift becomes a treasure that is sure to touch his heart! Please make sure to provide his first and middle name (last name can be given if preferred). Also available in an array of colors to compliment his decor. Contact us to check availability on the color of your choice. 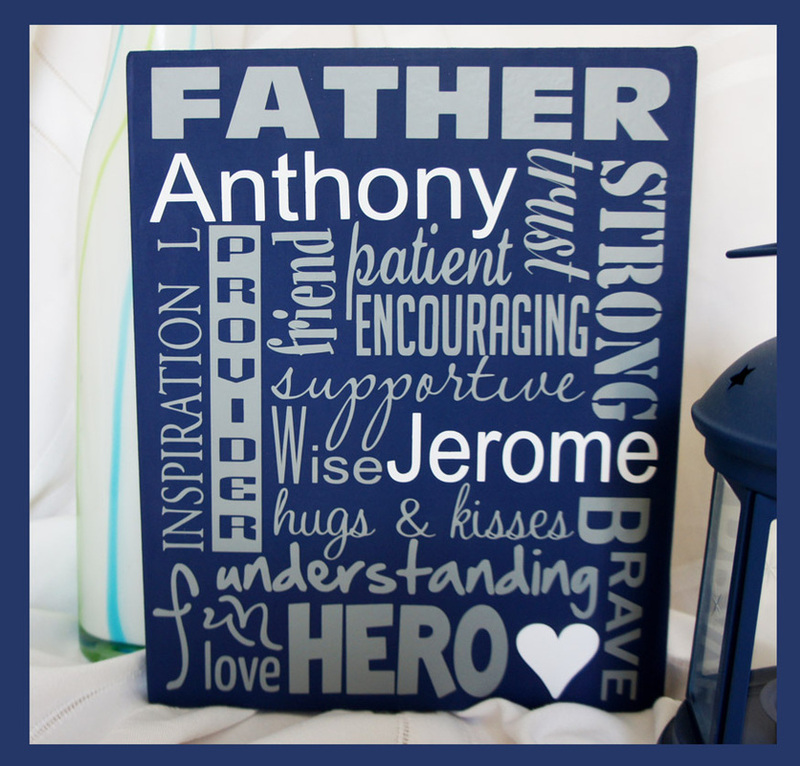 This 12 X 12 tile says it all, and makes the perfect gift for ANY father this holiday. Does not include stand. 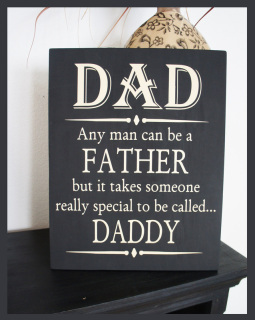 Another great gift idea for those fathers in your life this holiday! 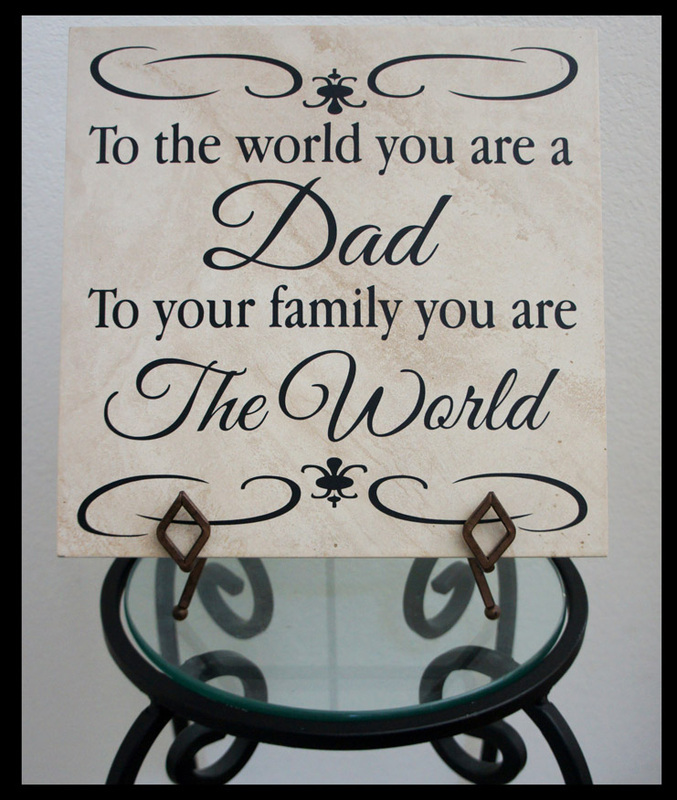 This wooden plaque measures approximately 11" X 14" and is available in many other colors. Contact us to check availability of your color choice.